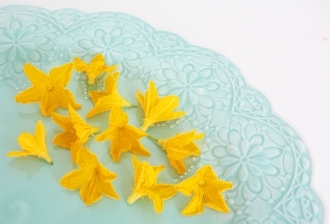 Gorgeous, bright and small 5 petaled yellow blossoms with a fresh cucumber taste. Top green salads to add great color. Wonderful flower to garnish small appetizers and float on drinks! Size is little larger than a quarter.